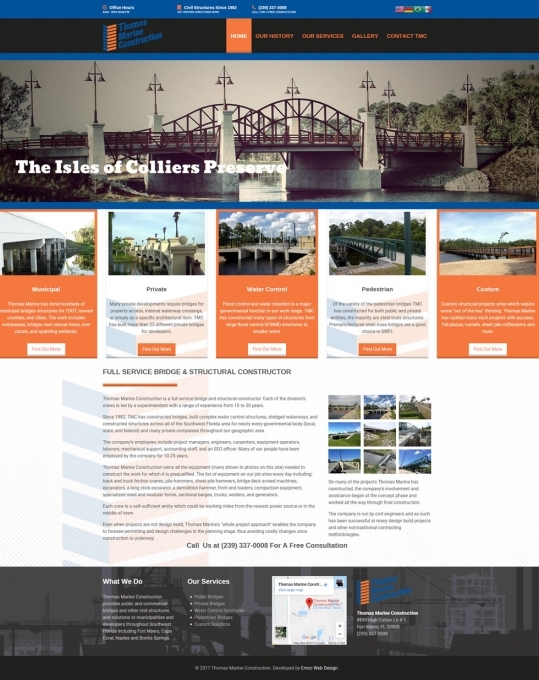 Thomas Marine Construction is a full service bridge and structural constructor. Each of the division’s crews is led by a superintendent with a range of experience from 10 to 30 years. Since 1982, TMC has constructed bridges, built complex water control structures, dredged waterways, and constructed structures across all of the Southwest Florida.